In the above passage from his book about the credit crunch, I.O.U., John Lanchester is mainly talking about the United Kingdom, where he lives. However, his remark about needing somewhere to live and the notion that property value means little in the world where most people do live has stayed with me. Elsewhere in the book he tosses off the idea that the value of your house or apartment or land is only as much as the other guy is willing to pay you for it, in the end. That sounds both ridiculously obvious and counter-intuitive; ridiculously obvious because, of course, the money you get for your property is whatever it is the buyer is going to give you, counter-intuitive because we’ve been conditioned to think that property has an intrinsic “value” based on conditions that change from moment to moment but which can nevertheless be measured. 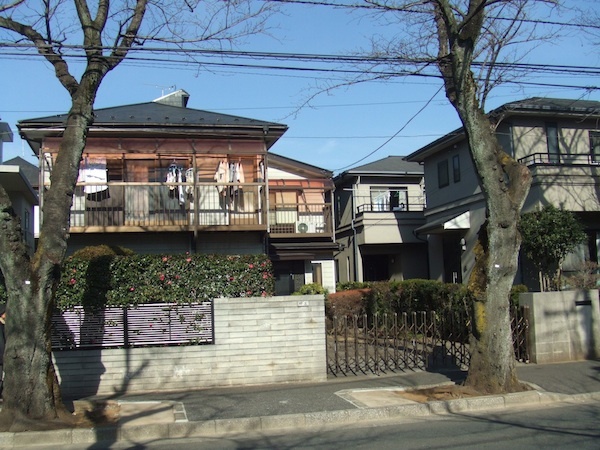 As we’ve said a million times on this blog, Japanese property values, for the most part, drop as soon as you move in and continue to do so over time. But that value changes in accordance with who it is that is making the evaluation. The authorities have to assess your property in order to levy a property tax, and in order to make any money off of you at all they have to keep the value at a certain level. Over several decades, the value of the structure, we’ve found, will eventually approach zero, but whatever the value is it has no meaning if you can’t actually sell your house, and as we’ve also said a million times here there are millions of empty properties in Japan. According to Lanchester’s credo, the value of all those houses are zero, since the owners presumably can’t get anyone to pay for them. But those owners are still paying property taxes, and not just for the land. Many are still paying for the houses that sit on the land. Local governments assess properties based on supposedly measurable criteria–distance from the nearest station and amenities, quality of land and infrastructure–but the most important one is also the most arbitrary, and that is the “relative worth” of other properties in the area. That means, if your neighbor sold his house for ¥20 million, then the value of your house will somehow be affected by that. But that also assumes you can sell it. This is why home owners continue to obsess over property values, when in actuality the only connection property has to the person who owns it is its worth as an abode, a place to live. We’re not talking here about investment property, though one could make a fair extrapolation if one tried. The point is, the only criterion that matters in selecting a place to live is whether or not you actually want to live there, because in the long run the only thing it’s going to give back to you is the comfort of home. Eventually, all home owners in Japan realize this truth. We only wish the authorities would understand it as well. If they did, maybe they would think more about quality of life than economic indicators.